AUTHOR NOTE: This article is not an all inclusive study of the Marvelman character.Â There are issues in the creation and subsequent history of Marvelman that have not been touched on in years, and this is a basic rundown of the evolution of the character from publisher to publisher. The seeds of Marvelman as a character where planted in 1941, when National Periodical Publications (know today as DC Comics) sued Fawcett Comics for copyright infringement over their publication of the character Captain Marvel, saying it was to close to their own character Superman.Â The case languished in court for years, and it was not until 1954 that an final decision was announced. During this time, sales of the Captain Marvel titles had begun to decline, McCarthyism was in full swing, and parent groups where beginning to take notice of the content published in their childrenâ€™s comics.Â The case was settled out of court with Fawcett agreeing to stop publishing the Captain Marvel characters.Â The final Golden Age appearance of Captain Marvel and his family was in The Marvel Family #89, January 1954, just months before Dr. Frederic Werthamâ€™s controversial book, Seduction of the Innocent, was released. So, what does this have to do with the creation of the character Marvelman, you may ask?Â Â Fawcett Comics were reprinted in England by a company called L. Miller and Son.Â At the time, British law prohibited the importation of some publications, including American comics, so they had to be reprinted by British firms.Â When Fawcett agreed to cease publication of the character, the source of Captain Marvel stories in England was cut off.Â But the character proved to be so popular with English children and adults, that L. Miller and Son company (the company which reprinted the original stories in Britain, here on out referred to as Miller), turned around and decided that they needed to create their own character with the same flavor and basic properties as Captain Marvel. To do this, they contacted Mick Anglo, a British comic book artist and writer. Captain Marvel, Captain Marvel, Jr., and Mary Marvel became Marvelman, Young Marvelman, and Kid Marvelman.Â The wizard Shazamâ€™s magic word became the key word for young Micky Moran to unlock the atomic powers given him by Guntag Barghelt, an astro-physicist.Â Dr. Sivian became the mad scientist Dr. Gargunza and the evil Black Adam became Young Nastyman.Â The Marvelman comics (Marvelman, Young Marvelman and Marvelman Family) were published from 1954 to 1963.Â After Miller stopped purchasing original stories and began to publish reprints (from around 1959 to 1963), Mick Anglo started his own comic company called Anglo Comics.Â Anglo heroes were based off the Marvelman character, called Captain Miracle and Miracle Junior.Â These only lasted for about a year. Anglo was said to try again, this time retouching older stories he had done, creating the character Miracleman.Â Miracleman was popular in other parts of Europe, but failed as quickly as Captain Miracle had in the United Kingdom. That is the story of Marvelman/Miracleman so far.Â Back on the other side of the pond, publisher MF Enterprises produced a character named Captain Marvel.Â This Captain Marvel also got his power from a magic word, but instead of changing him into a superhero, it gave him the ability to â€œSPLITâ€ parts of his body from himself and have them act independently. This Captain Marvel had a sidekick named Billy Baxton. As you might guess, that series did not last that long; only six issues. Meanwhile, Timely Comics had changed their name to Marvel Comics, and decided that they (possibly inspired by the MF Enterprises Captain Marvel) needed a character named Captain Marvel.Â Remember, Fawcett still owned the character Captain Marvel, but where prohibited from publishing him by the settlement with National (now DC. )Â So when Captain Marvel appeared with Marvel Comics, Marvel made sure that they had the trademark to the name, which had been abandoned by Fawcett.Â This was rather simple, since they already had the name of their company changed to MARVEL.Â This trademark stopped anyone from publishing a title called Captain Marvel unless it was Marvel Comics. Note: Copyright and trademark are not the same thing.Â You can copyright a work (such as a story, art, etc) but a trademark is more along the lines of identification.Â If a trademark is not used within a certain period of time, regularly, then it can be considered abandoned and up for re-registration. This is essentially what happened to the name Captain Marvel.Â While the copyright for Captain Marvelâ€™s appearance, stories, and name may have belonged to Fawcett (at the time) the trademark of the name itself as a product identifier lapsed, allowing Marvel to pick it up. To take advantage of the popular resurgence of comics in the 1970’s, Fawcett licensed their character and all his supporting characters (expect Hoppy the Marvel Bunny and those already at Charlton) to DC.Â DC would publish the title SHAZAM! which would exposed that character to a new generation, as did his subsequent back-up stories in Adventure Comics.Â Eventually, DC would purchase the copyrights to Captain Marvel and he would be in the DCU permanently.Â But, due to Marvel owning the trademark to the title Captain Marvel, you will never see a self titled DC series with that characterâ€™s name. Back to Marvelman.Â In 1982, an editor for Quality Communication, Dez Skinn, decided that he wanted to launch an anthology magazine/comic to go up against the ultra popular 2000 AD and Judge Dredd.Â He decided to recruit Alan Moore, who at the time was spinning tales at Marvel UKâ€™s Captain Britain title, to help launch it.Â Their lead character was Marvelman, who had languished in obscurity for better than twenty years.Â Things get a little confusing here, because at that time, the rights to the character were divided between the publisher, Quality Communications, owned by Skinn, and the creative teams.Â Was it a copyright that was split on the revamped character?Â What about the original creators, such as Mick Anglo?Â Let’s take a little time to see if we can sort this out. It seems that when L. Miller and Son stopped producing comics back in the mid-sixties, they sold the original printing plates to Alan Class Limited. Alan Class seemed not to have much interest in the Miller library outside of the science fiction and horror work, and reprinted little, if any of the other stories.Â I actually could not find any reference to Marvelman in any form being reprinted by Alan Class.Â Remember when I told you about Mick Anglo reworking some of his Marvelman stories for Miracleman and Captain Miracle? Well, it seems that Anglo insisted that he owned the rights to the character all along.Â Some sources say that many of the published Marvelman stories often have a small â€œÂ© Mick Angloâ€ located in/on the printed pages.Â Since Miller never objected (that we know of), this seems to be a big indicator that Anglo at least believed he owned the copyright to the character regardless. Editor Dez Skinn, Alan Moore, and artist Garry Leach each had 30 percent, and Quality Communications took a 10 percent share.Â When Leach was replace by Alan Davis as artist, they restructured the deal slightly, with Skinn taking 10 percent, Moore and Leach each retaining 30 percent, and Davis being given 30 percent. Presumably publisher Qualityâ€™s percent was dissolved in the new structure, since Skinn owned Quality he still owned a percentage.Â But did Skinn originally have any rights to give?Â One article I read gives several possibilities ranging from Skinn thinking that the character was in the public domain, to him either purchasing the rights outright from Anglo or offering a retroactive deal after publishing began.Â Moore and Leach certainly believed that Leah had the needed rights, and Anglo was reported to have been paid for stories that where reprinted in the Marvelman Special. Alan Moore is responsible for the Marvelman that most comic reader are currently familiar with.Â It was Moore who aged Michael Moran into an adult who had forgotten about his super hero past, thinking it to only be dreams and nightmares.Â Once Moran remember his true self, we are treated to an incredible series of stories that brought this formerly bright and optimistic character to places where early hints of Mooreâ€™s Killing Joke and Watchmen could be seen.Â In fact, some consider Mooreâ€™s Marvelman stories to be superior to his American work, as he seemed to be allowed a freedom which may not have been extended by the mainstream publishers here in the States.Â Warrior and its characters weere a hit and Quality decided to publish a special issue called, not surprisingly, Marvelman Special.Â This was the point at which Marvel Comics stepped in and began to threaten legal action citing their ownership of the trademark for the title Marvel.Â One of their legal points was that such a title may confuse the reading public, since Marvel UK was also fighting for newsstand space at the time.Â From what I read in my research it seemed , at this time, that Marvel was pretty much threatening to sue anyone who used the word Marvel in their titles.Â Warrior #21 was the last issue to see a Marvelman story, but this is reported to be because of creator differences and not any pressure on Marvel Comicsâ€™ part.Â It has been reported that Marvel Comics had no problem with the character, just the use of Marvel in the title.Â Skinn did print some of the letters from Marvelâ€™s legal department in the final issues of Warrior. Later, Skinn would sell â€œthe rightsâ€ (presumably his 10 percent) to Marvelman to Eclipse Comics, this was around 1985.Â To try and avoid any legal trouble the decision was made to re-title the book, and re-letter appropriate pages, to Miracleman. When the book came to Eclipse, Alan Davis gave his shares to Leach. Alan Moore completed his story with issue #16 and when Eclipse let it be known that they wanted to continue the title, Moore gave his shares to Neil Gaiman, who was the new writer for the title.Â Gaiman is reported to have given half of his share to artist Mark Buckingham. In 1994, Eclipse went bankrupt.Â 24 issues of Miracleman had been published, with the 25th still on the drawing board and a new series called Miracleman Triumphant on the launch pad.Â None of them have ever been published, although I have seen some supposed pages from the 25th issue and the 1st issue of Triumphant floating around the Internet. In what has been reported as an effort to gain control of the Miracleman character, Todd McFarlane purchased the Eclipse creative library in 1996 for $40,000.Â He stated that he wanted to reintroduce the various Eclipse characters in a series of anthologies. To my knowledge, only The Heap has made an appearance in Spawn #73.Â During the early days of Spawn, McFarlane asked several different creators to write stories for the Spawn title early in its run.Â One of those stories, by Gaiman, introduced the characters of Medieval Spawn, Angela, and Cogliostro.Â McFarlane later contended that the stories were work-for-hire derivatives of his property and that made them his, while Gaiman contended that, via a verbal agreement, he and McFarlane had agreed he would still have creative ownership of the characters.Â The well-covered McFarlane/Gaiman controversy soon took center stage for comic fans everywhere. It was later said that Gaiman agreed to give his share of Medieval Spawn and Cogliostro back to McFarlane in exchange for the rights to Miracleman.Â The kicker here is everyone assumed that McFarlane had the rights to Miracleman when it seems he did not as the rights to the character where not included in the Eclipse purchase.Â Â While the issues of the Gaiman created Spawn characters has been cleared up, the issue of Miracleman was thrown out of the original suit in an appeal in the 7th District Court. While there has not been any headway on a Gaiman/McFarlane Miracleman case, Gaiman used the funds from his Marvel mini-series 1602 to create Marvels and Miracles, LLC in an effort to clean up the ownership issues. Last week at the San Diego Comic Con, Marvel Comics announced they had purchased the rights to Marvelman.Â Currently, they purport have the rights to the original Marvelman material by Mick Anglo, who is around 93 years old.Â That essentially shores up the original, but Marvel is said to be currently contacting ALL the parties involved to work out any issues with the other versions. Will we see a Marvelman series published by Marvel Comics?Â I would say yes, but would not even begin to venture as to a specific time frame. I believe that there is still a lot of row to hoe before this comes to fruition, but it is certainly something to look forward to. Now just to confuse you a little more, check out Miracleman of Earth-238! I would just like to take a moment to say that this article is by no means conclusive on this subject, and I know I left a lot out.Â I read many articles online and culled some old research notes I had from a copyright law paper I wrote almost 8 years ago. Wikipedia was also big help.Â If you want to read more on the subject of Marvelman and his history, check out the book KIMOTA! The Miracleman Companion by George Khoury, published by Twomorrows Publishing in 2001. 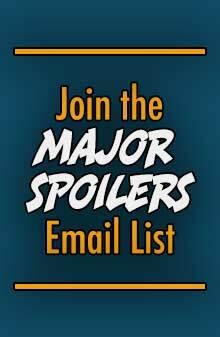 Want to discuss the character some more?Â Head on over to theÂ Major Spoiler Forum and lets share thoughts! Wow, what a bit of knowledge you’ve thrust upon us. Very in depth. I only remember the character from the Eclipse days. Thanks for the info. Interesting history indeed. Marvel looks to have quite the cobweb of rights on its hands with getting this title off the ground with new issues. 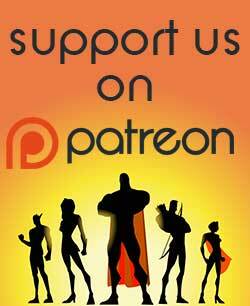 We’ve got a discussion started up over on the Forums regarding Marvelman…. 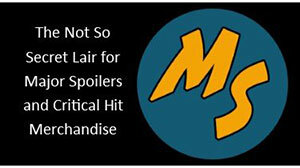 http://www.majorspoilers.com/smf/index.php/topic,963.0.html ….. feel free to join in. I have one issue of the Eclipse series, and it is the childbirth issue. Picked it up in a dollar bin a couple of years ago. I need to try and find it after this weekends move. It is an interseting character, and I remember all the hubbub back when he was first starting to be published at Eclipse (and the controversy over the childbirth issue), but having no access to a comic shopin those days, I was an adult before I could ever really read anything on him. Hope you all like the article. Great article. I had a passing knowledge of Marvelman/Miracleman, and knew the was British in Alan Moore’s run, but I didn’t realize his UK roots dated back to Mick Anglo. I appreciate all the work that must have gone into this piece. Very in-depth. I have the first three issues of the Eclipse series that I got in a 25 indy comic grab bag that I bought way back in the day from Mile Hi Comics…They’re in a long box somewhere around here…Nice article, now I need an aspirin while I parse all the info. This is all available on Bit torrent ya know. I got into Miracleman when an ex girlfriend’s mum bought me the rare graphic novel Miracleman The Golden Age, as she knew I was a huge Neil Gaiman fan. I have since met up with Dez Skinn and quizzed him about the very things in this article, which was fun. Dez is quite a character, the UK version of Stan Lee, and was quite happy to natter about the early days of Warrior and being Alan Moore’s boss. Miracleman is one of my favourite Moore offerings and I think it is high time the legal wrangle was forgotten and this book went back out on the shelves.